A work of a chemical nature, while it had no direct reference to the sea water, was, nevertheless, important to an understanding of the chemistry of sea water by explaining the state of solution of the salts therein. This was the great Swedish chemist Svante Arrhenius’ (1859-1927) theory of electrolytic dissociation. In short Arrhenius said that salts dissolved in water broke up into dissociated molecules. He futher postulated the existence of electric charge of these dissociated parts. While the road was by no means easy, Arrhenius’ theory flourished. The difficulty in visualizing the state of a salt in solution was made easier. The scientific world was generally quick to use this theory. By 1910 Sir John Murray included in one of his book this definition: Ion – a form of molecular aggregation of matter in aqueous solution. An inorganic salt, base, or acid is partly split, when in solution, into ions. The metals mostly give cations, which carry a negative electrical charge and go to the positive pole in electrolysis. Acid radicals and certain non-metals form positively charged anions. In any solution the total negative charges on the cations exactly balance the total positive charge on the anions. It is impossible to isolate ions as such; when completed to assume the solid state, they combine with one another to give electrically neutral molecules. It was possible for oceanographers to “resolve” the constituents of sea water much more readily. In the late 19th century a method was developed for determining the salinity of the seawater sample from measurement of its electrical conductivity. 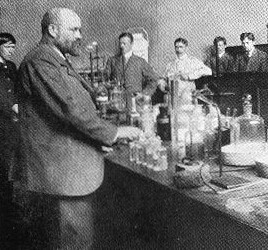 The Norwegian chemist Hercules Tornóe (1856-1907) became a pioneer in this matter. At the meeting on 6 October 1893 of the Norwegian Academy of Science, he reported on the series of investigations which showed that salinity of the seawater could be determined by measuring the electrical conductivity of the water. The conductivity would be determined by means of alternating current and a telephone bridge. As conductivity is also greatly influenced by temperature, the temperature would have to be determined with great accuracy and its influence eliminated. Martin Knudsen went a step further by designing an instrument which, based on the same principle, made it possible to determine the salinity and temperature of the seawater without collecting water samples or pulling the thermometer out of the water. Through the method aroused considerable interest it did not really gain ground, undoubtedly because the underlying instrument technique was not sufficiently developed at the time. Although the electrical conductivity of seawater had been used together with temperature for salinity determination since 1930, (Winer,1930) , precision salinometers based on this principle had to await the advent of modern electronics. In the late 1950s the measurement of electrical conductivity started to replace the chlorinity titration as a means of estimating salinity. Salinometers, incorporating high precision comparator bridges and thermostatically controlled baths, were developed to compare the electrical conductivity of the sample with that of standard seawater of known chlorinity (and hence salinity) at the same temperature. The measured conductivity ratio was then converted to salinity by means of relationshops which had been established in 1934, (Thomas, Thompson, Utterback,1934), but which were not of the desired quality. Cox has noted that there was an error in their extrapolation of measured values to 15°C but even after this was corrected unacceptable discrepancies were occurring between salinities calculated from conductivity ratio and temperature and those resulting from the application of (1) to a chlorinity titration. This made both salinity and chlorinity conservative properties. Equations and tables based on the new measurements were published in 1966 by UNESCO and were widely adopted. Although the new conductivity/salinity relationships and definition of salinity helped to establish uniformity in salinity determinations, they had limitations. As they were originally intended for use with laboratory salinometers, they had a limited temperature range so could not be used for converting data from in situ instruments which were mostly used at temperatures below 10°C. 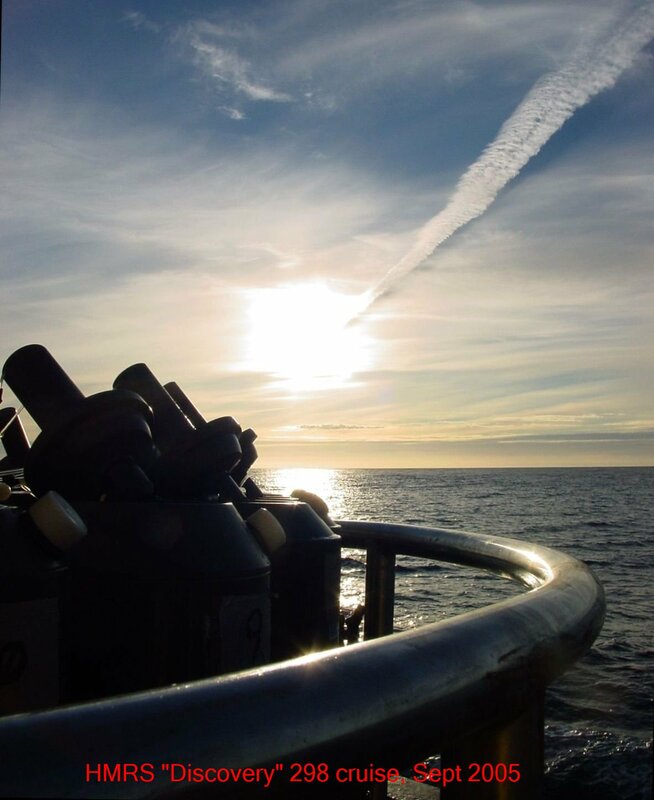 Also the samples of seawaters used for the basic measurements were natural seawaters in which there were probably variations in ionic ratios which affected conductivity/chlorinity relationships. In addition, Standard Seawater used for all salinity determinations was certified only in chlorinity which was not satisfactory for a conductivity standard.